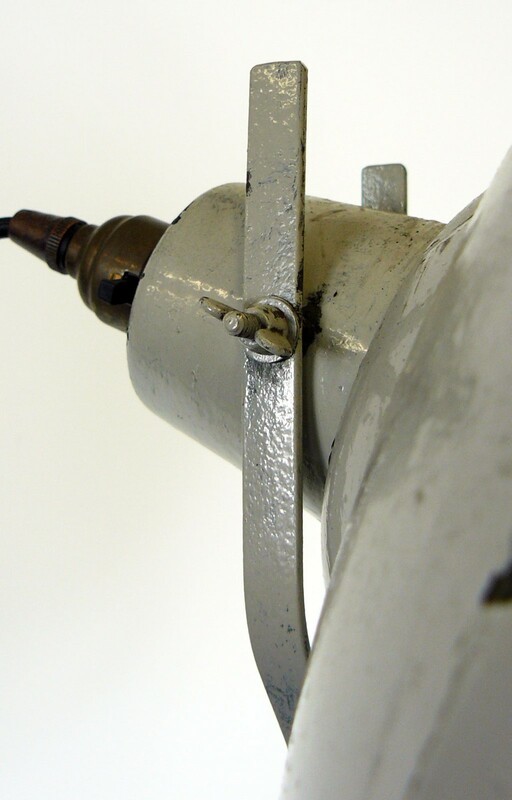 This one is a scratch-built job and was found in the workshop of a Lancashire factory. 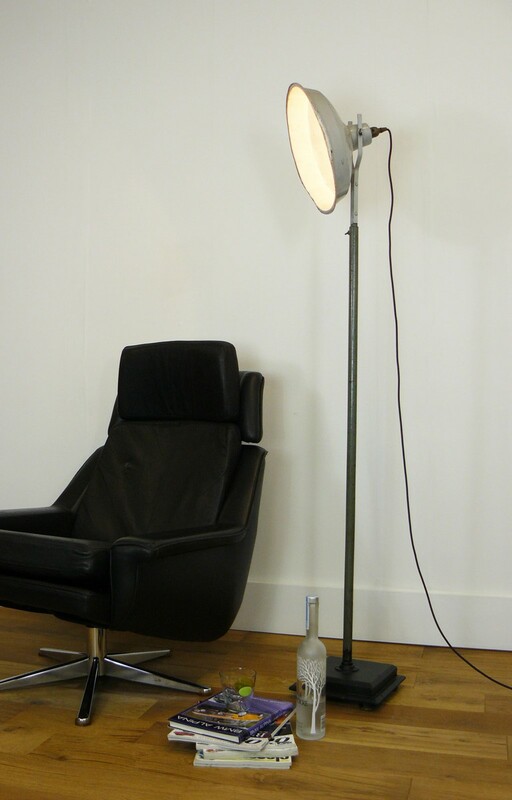 It would have been used to lighten up the area over a lathe and we make no allowances for its slightly knackered look. 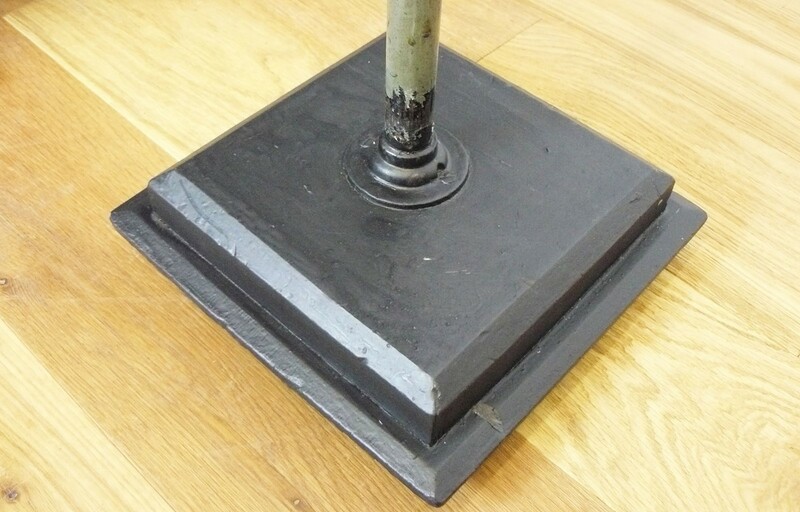 Saying that the look is good - a painted metal shaft is extendable and secured in height with a homemade screw lever. 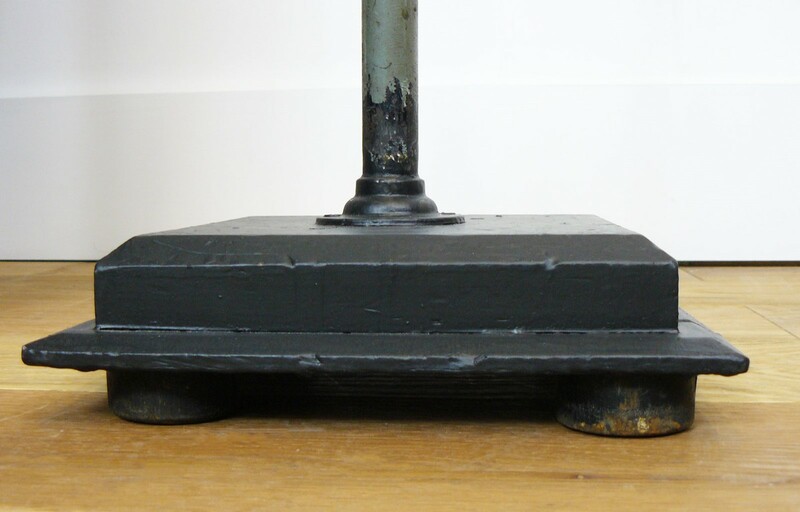 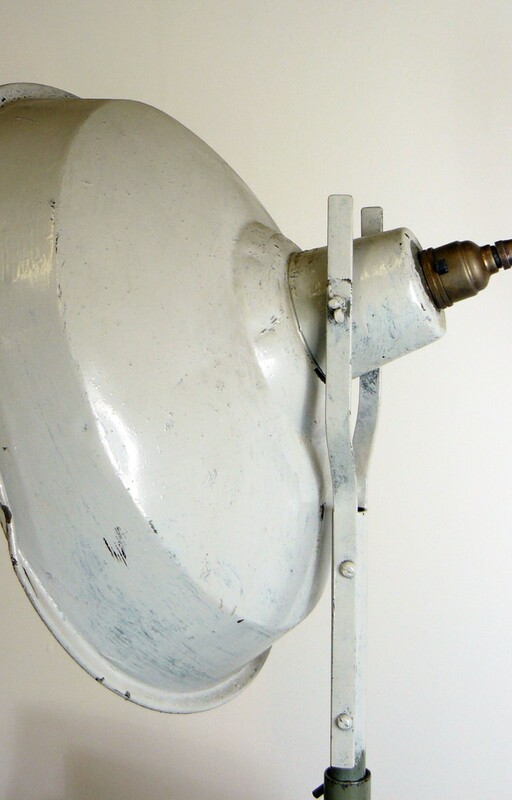 The stepped wooden base is painted black and the knocked around enamel shade is secured with a couple of metal stems. 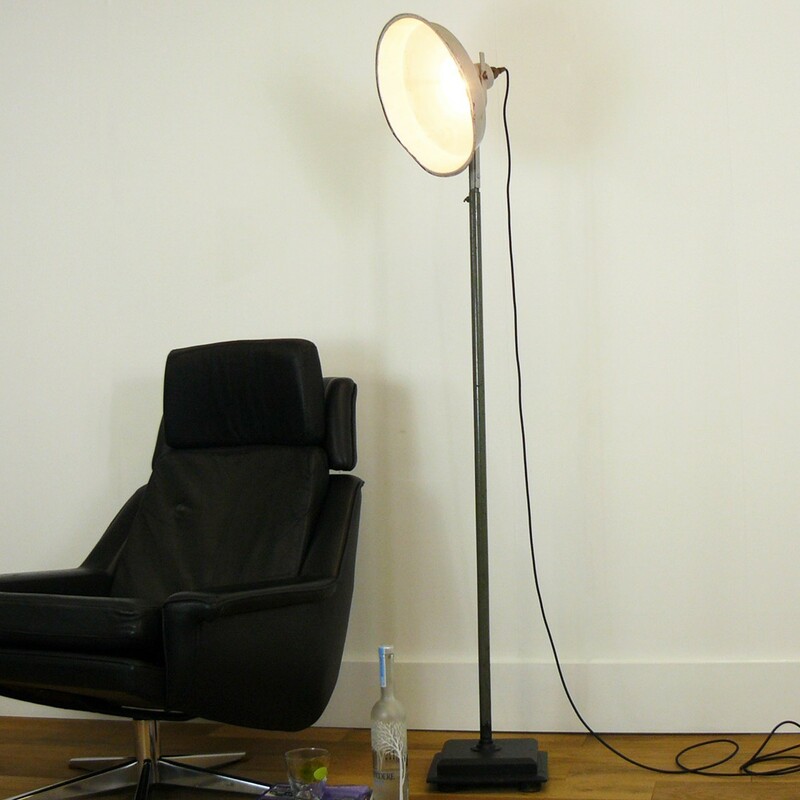 We have rewired, re-plugged and PAT tested the lamp so it’s ready to go. 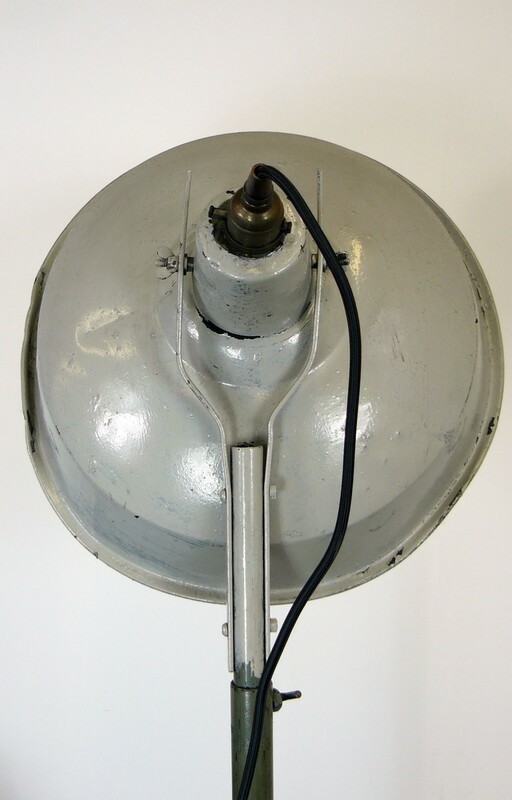 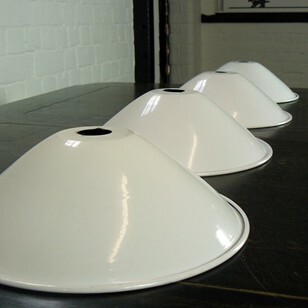 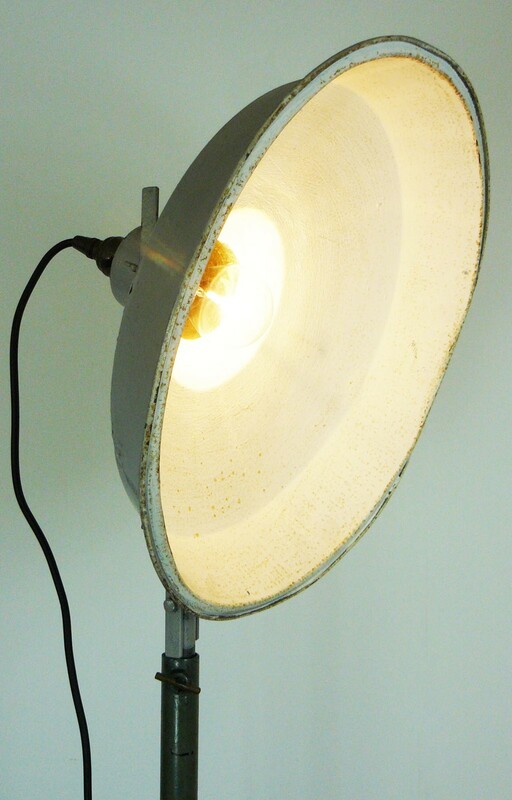 A piece of true British workshop lighting.